Charbrew Day Time Teatox Review | Buy or a Scam? Page updated Dec 6, 2018. First published Dec 5, 2018. Charbrew Day Time Teatox is a detox tea described as the perfect aid for weight loss, and as a way to remove bloating. All detox teas make similar claims, but is this one any different to the thousands available on the market? We take a look at Charbrew Day Time Teatox to find out. Charbrew is a tea company based in Manchester England. There is a tea shop you can visit and a range of herbal teas, ordinary tea (AKA English breakfast tea), and more. In this setting, the detox teas look like a bit of fun but it is important to remember these types of teas can cause side effects, and there is no proof anywhere that says detox teas are good for health. Despite the misleading directions that claim this tea should be taken at night and that it will help your body “detox,” Charbrew Day Time Teatox looks to be an appealing tea blend. We think it is unlikely to have much effect upon weight loss or detoxing but as a reasonably priced speciality tea it looks OK and it may perk you up in the morning. 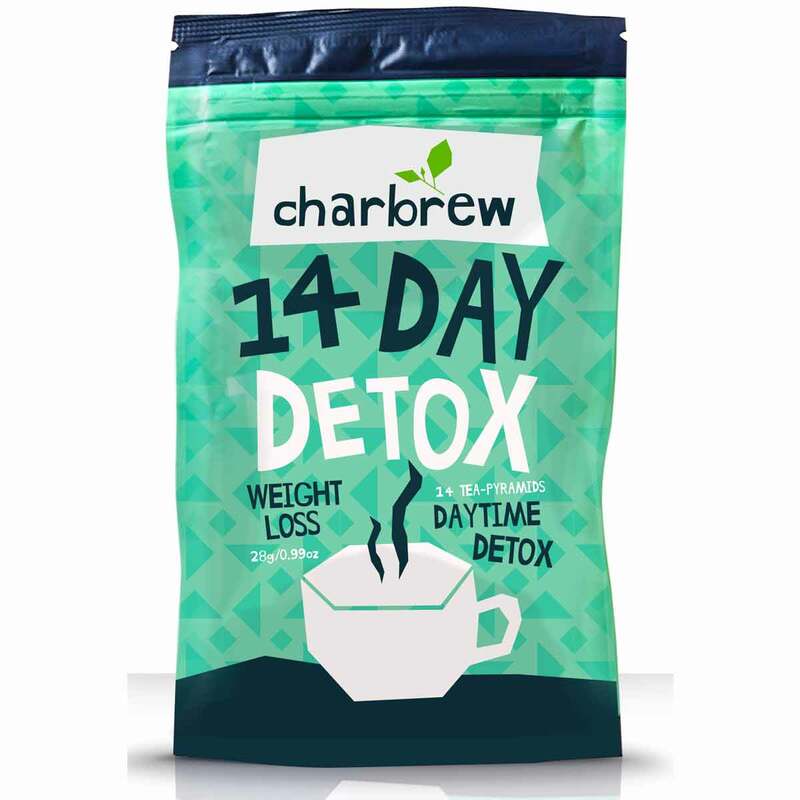 Charbrew Day Time Detox is available in 14 or 28 bags and also in a combination pack with Night Time Detox Day. What Are The Side Effects Of Charbrew Day Time Teatox? Although this tea looks safe for most people at just one cup a day, it may cause some potential side effects. Some of these relate to the stimulant content of caffeine and Siberian Ginseng and may include insomnia, jitteriness, anxiety, increased blood pressure, and increased heart rate. Hibiscus contains fruit acids so may cause diarrhoea and increased urination. Other side effects may include changes to blood pressure, mood changes, depression, and changes to heart rate. You should avoid this tea if you are trying to conceive because it may increase menstrual bleeding and increase the risk of miscarriage. How Much Does Charbrew Day Time Teatox Cost? Charbrew Daytime Detox is not overly expensive. Buy from the official Charbrew website and it costs £11.99 for a pack of 14 teabags. This seems to be the only sized bag available from Charbrew at the time of writing. Shipping is calculated at the point of sale and is available to UK, Australia, USA, and Germany. You can find a much better deal on Amazon UK where 1 x packet of 14 teabags (14-day DayTime detox) costs £6.99 and the 28 teabags pack (28-day Charbrew Day Time Detox) costs £11.99. Free shipping is available to Amazon Prime customers. We like Charbrew Day Time Teatox precisely because it is not going to work as described! 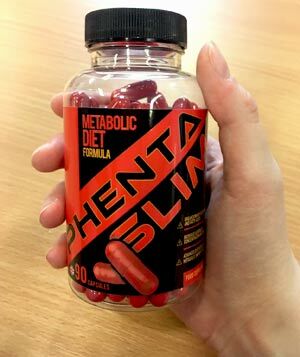 There is not much in this supplement that makes it a detox and although Hibiscus may have a slight laxative effect, it is unlikely that most people will even notice it. Charbrew Day Time Teatox may perk you up in the morning with green tea and Siberian Ginseng and the other components, especially rosehips, do have health benefits. If you like the flavour, it may make a pleasant change from your usual tea and coffee and offer a healthier alternative. We do have some concerns about Charbrew and their advertising. The product information clearly states that this tea should be taken at night yet this is obviously a mistake. In addition, this company does not really seem to understand the concept of detox and has obviously jumped on this bandwagon in order to market some extra teas. We cannot recommend this tea as an aid to weight loss and despite the name; it is not really a detox tea either. Although this last point is one in the tea’s favour, overall we do not recommend Charbrew Day Time Teatox to the Watchdog readers. Charbrew Day Time Teatox is a detox tea that contains a blend of herbal ingredients and green tea. As with all food and drink products, the ingredient quantities do not have to be provided and the strength will largely depend upon how long you leave the teabag in the water. The tea is based on green tea which is good. As the product information explains this is “naturally caffeinated” like all tea, so it should deliver much the same energy effect as an ordinary cup of tea. Green tea can have real benefits for health, because it is much less processed than ordinary black tea and is rich in antioxidants, and some evidence suggests it can help weight loss. Many of the other ingredients are also known as components of herbal teas. These include Hibiscus leaves, spearmint, lemon grass, and rosehips. The final component is Siberian Ginseng root which is often taken by people as an Adaptogen, meaning it boosts the immune system and causes general feelings of wellbeing. It is a stimulant and may have benefits to weight loss, diabetes, and general health, although it can cause side effects too. Check out the ingredients tab to find out more. Follow the daily plan to enhance your calorie controlled routine, take one tea pyramid every night prior to sleep you should look and feel better in no time! Bizarrely, the product information clearly states that you drink this tea before bedtime, and some customers have taken this advice and claim to have got a good night’s sleep. It seems unlikely to us, given the stimulant content, so unless this is a typo we don’t really understand why you should take a daytime tea product before bedtime. Charbrew is a tea company that has obviously jumped on the Detox bandwagon. Can you really trust this company to know anything about weight loss products? Charbrew sells a range of health tea products including Night Time Detox Tea, which contains chamomile to help you sleep, and is more in line with the usual detox products because it contains herbal ingredients that will increase urination. Charbrew is a British company based in Manchester. The company sells speciality tea blends and tea products such as Ice Tea, gift box tins, and more. 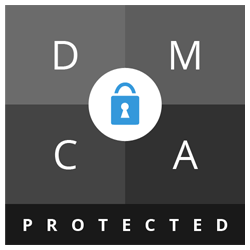 Products are available to UK customers as well as those in USA, Australia, and Germany. What Does Charbrew Day Time Teatox Claim To Do? According to the product information, this tea will help you lose weight but only if you use in combination with a calorie controlled diet. PERFECT AID FOR WEIGHT LOSS- Charbrew’s Natural Teatox Blend Is The Healthy Way To Boost Your Metabolism And Help Fat Burning. NATURALLY CAFFEINATED – Charbrew’s Day Time Tea Has Been Carefully Created To Ensure You Are Alert For The Day Ahead Whilst Keeping Your Metabolism Burning Fat. FIGHT THE SUGAR RUSH- The Natural Ingredients In Charbrew Teatox Tea Contains Properties That Help Reduce Sugar Cravings And Keep Hunger At Bay. Does Charbrew Day Time Teatox Work? There is nothing much in Charbrew Daytime Detox that makes this a detox tea. The good news about it is that this company seems to have missed the entire point of the detox concept, and instead have created a herbal tea blend that looks OK for general health. It may have a slight diuretic and laxative effect thanks to the Hibiscus but is unlikely to be as strong in the “detox “effects as most teas sold for this purpose. Detox teas are always built around laxatives and diuretics (ingredients that make you pee), and the idea is that this will help remove unnamed “toxins,” water weight, remove bloating, and help you lose weight by increased bowel movements. However, it seems nonsensical to recommend drinking Daytime Detox before bedtime. Siberian Ginseng is a stimulant and green tea contains caffeine, so is more likely to keep you awake and make you visit the bathroom than it is to help you get a good night’s sleep. What Are The Ingredients of Charbrew Day Time Teatox? Each tea bag contains the following ingredients. Green Tea: Whether it is PG Tips or Green Tea, all tea is derived from the same plant species called Camellia Sinensis. The difference comes down to the manufacturing process. Green tea is less processed (unfermented) so retains more nutrients and antioxidants making it much better for health. Clinical research has also found that it seems to increase the speed of the metabolism and so helps weight loss. Like all tea, Green tea contains natural caffeine. Hibiscus Flowers: Hibiscus tea is popular in some countries and there may be health benefits. It may help reduce cholesterol and blood pressure according to some studies. The fruit acids can work as a mild laxative in some people. Spearmint: Common garden herb, best known for its fresh minty flavour. Many people drink mint tea because it seems to improve digestion and help prevent flatulence and nausea but although it seems effective there is no real scientific evidence to prove it. Lemongrass: Another herb that is often drunk in tea and most usually used as flavouring. It contains natural chemicals that may have an antioxidant effect and prevent the growth of bacteria and yeast. It may increase menstrual flow. Rose Hips: Rosehips are the berries that form on the rose bush after the flower has died and are a traditional herbal remedy for many ailments. Well known natural remedy for gastric issues such as gas and stomach ache, rosehip syrup is an old-fashioned treatment for babies with wind or colic. Rosehip tea is a great source of vitamin C and vitamin A both which strengthen the body’s immune system. Siberian Ginseng Root: Also known as Golden Root or Eleuthero, Siberian Ginseng grows within the Arctic Circle and is well known in various traditional medicines especially in East Asia as well as used in tea. Siberian Ginseng is supposed to improve energy levels and mental functioning and is sometimes taken for bipolar disorder. The quality of Siberian Ginseng root can vary and although this should be pretty safe for most people when taken as a tea, it is known to cause side effects. Does Charbrew Day Time Teatox Have Any Side Effects? Charbrew Daytime Detox may cause side effects. Not suitable for individuals under 18. Avoid if you are pregnant, breast feeding or trying to conceive. Speak to your doctor before using if you are taking prescription medication or have an underlying medical condition. Are There Any Customer Reviews For Charbrew Day Time Teatox? There is a lot of customer feedback for Daytime Detox. A great tasting tea that wake up your senses each morning. I have made my second purchase. This tea makes facing the day ahead a little bit easier! I have issues with bloat, so I’ll try anything. This did seem to help, bloating was better throughout the month, weight loss not really, (but that would have been a plus). Smells nicer than it tastes, if it were cheaper and nicer tasting, I’d consider it a regular addition, but as it is, I may or may not buy again. Nice taste but haven’t noticed any weight loss been using it nearly 2wks. Very nice flavor, much fuller than most fruit teas. Used to replace tea and coffee so I cut out a lot of milk and caffeine and I feel much better for it. All I can say is OMG!!!!!! Finally, a detox tea that not only works but TASTES GOOD. Dropped weight on the 14 day program so was delighted to see the 28 day program arrive. Good taste but that’s it! Not for the first time I was swayed by all the positive reviews for this product. However, I cannot say anything positive about this product. Personally, I feel it has been a complete waste of money. 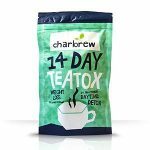 Does Charbrew Day Time Teatox Offer a Money-Back Guarantee? There is no money-back guarantee on offer for Charbrew Day Time Detox. Where Can I Buy Charbrew Day Time Teatox? You can buy Day Time Detox direct from the Charbrew website. Products are available to UK, Australia, the USA, and Germany. It is also on sale via Amazon UK. 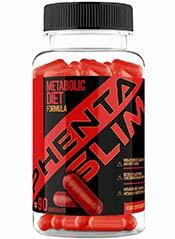 How does Charbrew Day Time Teatox compare to Phentaslim? The Diet Pills Watchdog does not recommend Charbrew Day Time Teatox.